Pre-release press for this truly uncommon collection of songs began nearly two years before its eventual distribution by Adelphi in 1973. 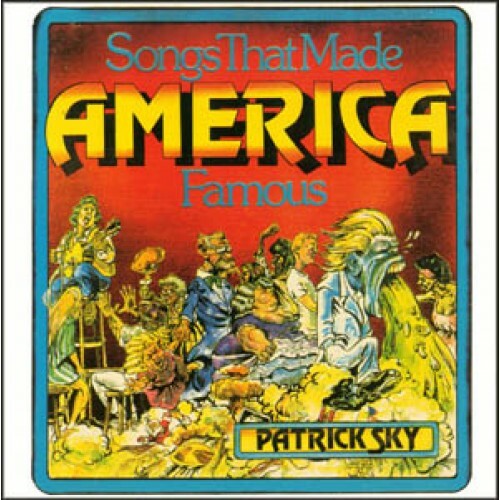 Patrick Sky had been performing several selections as part of his infrequent club appearances and garnering rave reviews. 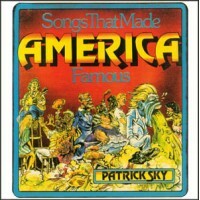 Then the story of the recording (made in March 1971), in its journey among the major companies began to appear in print. John Hammond of Columbia: 'It's incredible!' David Wilkes of Vanguard: 'This is the most disgusting thing I've ever heard.' Jerry Greenberg of Atlantic: 'I won't put it out, but I'd like to have a copy to play at one of my parties." In total, the album was turned down by 10 different record companies until it came to the attention of Herb Gart.... Gart got United Artists to agree to put it out but without their name on the label and without the word America in the title. Except that Columbia, Capitol and RCA, who own the pressing plants, refused to manufacture the record, insisting that the older women who work in Quality Control should not be subjected to such filth. Now release of the album is in doubt and the songs may be lost to the ages. A couple of decades after the album's release, Patrick Sky, born Patrick Lynch, paid a visit to his ancestral homeland where he happened upon a tiny and most unusual 'one pub Irish village.' It seems the townsfolk gather every Friday night at the pub and sing Songs That Made America Famous--word for word, note for note. Rolling Stone: 'Sometimes a record comes along that so affronts common decency, so offends public morality, and so insults established canons of taste that its very appearance understandably prompts cries of outrage, shock and indignation,' said writer Jim Miller. 'Veteran folk minstrel Patrick Sky's latest opus is just such a record. ...Such a record belongs in every American home; enjoy it while you still can." Billboard: 'This is not an album that can be universally recommended to everyone, especially one's maiden aunt in Dubuque.... Not for everybody, including impressionable children, and definitely rated 'X', the album is nevertheless a must for Pat Sky fans...and miscellaneous weirdos.